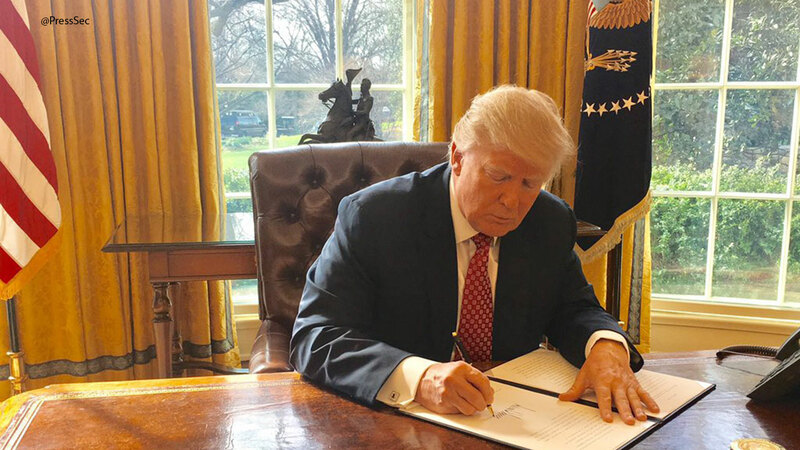 WASHINGTON -- President Donald Trump on Monday signed a new version of his controversial travel ban, aiming to withstand court challenges while still barring new visas for citizens from six Muslim-majority countries and shutting down the U.S. refugee program. The White House dropped Iraq from the list of targeted countries following pressure from the Pentagon and State Department, which had urged the White House to reconsider, given Iraq's key role in fighting the Islamic State group. Syrian nationals are also no longer subjected to an indefinite ban, despite Trump's instance as a candidate that Syrian refugees in particular posed a serious security threat to the United States. The new version also to removes language that would give priority to religious minorities. Critics had accused the administration of adding such language to help Christians get into the U.S. while excluding Muslims. Associated Press writer Alicia A. Caldwell and Sadie Gurman contributed to this report.